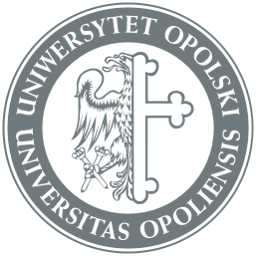 Principles of recruitment of foreigners at the University of Opole | Hello Uni Opole! · are insured against health risks or accident for the time of their education in Poland or have obtained the European Health Insurance Card or insurance at the Narodowy Fundusz Zdrowia (National Health Fund or NFZ) immediately after the start of education. foreigners who are holders of the Pole’s Card (Karta Polaka). Foreigners who have a residence card with the annotation “access to labour market”, a Schengen visa or a national visa issued with a purpose of performing work in the Republic of Poland can undertake and continue regular studies, doctoral studies and other forms of education, or participate in research and development work on a tuition fee-paying basis. They are not entitled to a maintenance grant, special grant for disabled persons and assistance grants. Citizens of the member states of the European Union, Switzerland or the ones being the members of the European Agreement on Free Trade (EFTA) – the sides of the European Economic Area, inclusive of the members of their families, who possess financial means indispensable to cover costs of maintenance during studies, can undertake and continue regular studies, doctoral studies, as well as other forms of education, and can also participate in research or development works according to the principles relating to citizens of Poland, with the provision that the above-mentioned are not eligible for receiving social benefits, special benefits for the disabled and other financial grants, or on the basis of the principles determined for foreigners who are citizens of non-member states of the above listed organizations. The holders of a valid Pole’s Card (Karta Polaka) may pursue degree level education, doctoral programmes and other types of education and training, as well as participate in research and development work, in compliance with either the rules applicable to Polish nationals, which also means they are entitled to apply for all kinds of grants available to Polish students, or with the rules not applicable to Polish citizens. Foreigners undertaking and continuing studies on the basis of the rules not applicable to Polish citizens are not entitled to applying for maintenance grants. Foreigners pursuing their study programmes in compliance with the rules applicable to Polish citizens are subject to the same principles of recruitment as those referring to candidates holding the old format of certificate of secondary school completion according to the criteria of admission determined for the chosen field of study. In the fields/disciplines in which the principles of qualification involve the requirement of the Polish language grade, in the case of foreigners who take up studies according to recruitment principles applicable to Polish citizens, the native language grade of the country in which the certificate of secondary schools completion has been acquired will be taken under consideration instead of the Polish language grade. Candidates should proceed with recruitment, by registering in the system of Online Registration System (IRK) and submitting all required documents by the deadlines listed in the admission schedule. Ifthere are special skills or abilities required for a given study programme foreign candidates also have to display such skills and abilities. as holders of scholarships granted by a given university. Candidates should proceed with recruitment, by registering in the system of Online Registration System (IRK) and submitting all required documents by the deadlines listed in the admission schedule. After registration in IRK system, all foreigners applying for admission, will find information about qualification on your Internet accounts (no other information). Candidates qualified for admission submit all required documents to given Faculty or Institute Admission Boards within the period set in the schedule of admissions. Foreigners applying for admission pursuant to the rules other than those applicable to Polish citizens, in addition to the required documents submit an application to HM Rector with the request for being accepted with no regular admission procedures. · passport or an ID in the case of citizens of countries belonging to the EU and EFTA (the Swiss Confederation citizens – passport only) or a document confirming being a family member of such a person. Foreign school leaving certificates and studies diplomas are legalized in Polish diplomatic posts of countries which issued the documents. Documents relating to education, issued outside Polish borders are recognized either on the basis of international agreements or through the procedure of nostrification. Documents are subject to nostrification, if they have been issued by a country with which Poland has not signed agreements on mutual recognition of educational documents or this agreement ceased to apply. Nostrification of school certificates obtained abroad shall be conducted by the School Superintendent having jurisdiction over the applicant’s place of residence and, should the applicant have no such place of residence, the Superintendent of Schools having jurisdiction over the head office of the institution where the applicant intends to submit his/her school certificate obtained abroad. What shall be recognized as equivalent to a Polish maturity certificate is a secondary school-leaving certificate or maturity certificate obtained abroad if it authorizes its holder to seek admission to any category of higher education institutions in the country within the education system of which the institution that issued the certificate operates. the original certificate or its duplicate legalized by the Consul of the Republic of Poland appointed for the country in which the document was issued. Should a school certificate obtained abroad be issued by an institution operating within the education system of a country being a party to the Hague Convention of 5th October, 1961, Abolishing the Requirement of Legalization for Foreign Public Documents (Journal of Laws of 2005, No. 112 items 938 and 939), a person applying for nostrification of his/her school certificate obtained abroad shall enclose with the application the original of his/her school certificate or its duplicate, or its true notarized copy with an apostille provided on the document or attached to it. Should a person choose to submit a true notarized copy of his/her school certificate, he/she must also present to the nostrifying authority, for viewing purposes, the original of the school certificate, or its duplicate. 1) a certificate stating that the certificate entitles to apply for admission to higher education of all types of higher education college in the country issuing the certificate if the person is applying for nostrification of matriculation certificate, on which there is no such endorsement. 2) a document outlining the curriculum, covering in particular the list of classes indicating the ratings obtained from them and the number of hours worked on the lessons, if the person is applying for recognition of foreign certificates as equivalent to a Polish certificate of completion of a public vocational school, public high school, upper secondary school, technical college or public high school. If the diploma is not recognized under an international agreement on recognition of equivalence in the training, then one should apply according to the principles of nostrification. A diploma must be nostrificated according to Ministry of Education regulation of 24 February 2006 (Journal of Laws nr 37, items 255). Faculty councils which are entitled to award doctoral degrees in a specific area or discipline of science are also entitled to nostrificate diplomas issued by foreign universities. The applicant can independently choose the department which will at his/her request conduct the nostrification procedures. The request should be addressed to the faculty council. The application ought to be accompanied with declaration that the document has not been so far a subject of nostrification procedure in Poland. The process of nostrification involves comparison of Polish curriculum with the one that has been undergone abroad. Should these programmes be stated as not equivalent the university may decide to request the university curriculum completion by passing additional exams or credits. There is a possibility of exemption from the diploma nostrification – the release of the recognition is intended only to recognize entitlement to further education, and only at the university, which released the applicant from the nostrification duty. · Citizens of the member states of the European Union or the ones being the members of the European Agreement on Free Trade (EFTA) – the sides of the European Economic Area, inclusive of the members of their families as well as the holders of valid Pole’s Card, who possess financial means indispensable to cover costs of maintenance during studies, can undertake and continue regular studies, doctoral studies, as well as other forms of education, and can also participate in scientific research or developmental works according to the principles in force relating to citizens of Poland, with the provision that the above-mentioned are not eligible for receiving social benefits, special benefits for the disabled, benefits to cover accommodation or boarding, and other financial grants (not applicable to students with the Pole’s Card). · The tuition fees cannot be lower than the planned cost of education. · In justified cases the Vice-Rector for Academic and Students Affairs may extend the deadline for payment of fees or agree to payment of a fee in installments, separately for each academic year or semester. · In the case when a foreign student faces a difficult material situation or begins another course of studies, or education in a different form, on the fee-paying basis, they can apply to the Vice-Rector for Academic and Student Affairs to have the fees lowered or be exempt from paying them at all. · they are in hold of the European Health Insurance Card or insurance at the Narodowy Fundusz Zdrowia (National Health Fund or NFZ – this refers to any member-state of the EU or EFTA citizen.